The ToxiRae 3 is a full-featured Single Gas monitor that offers unequalled cost of ownership value. The ToxiRae 3 is compatible with the AutoRae Lite bump and calibration station. STEEL, TAW, low, and high alarms can also be recorded. 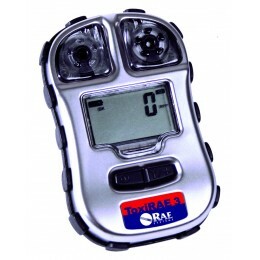 The gas detector is warranted for 2 years and maintenance free with replaceable battery.